Grand Theft Auto (GTA) 5 has sold over 75 million copies since its release on September 17, 2013, was revealed by Take Two Interactive. Take Two has published its quarterly results and organized its Third Quarter Fiscal Year 2017 Earnings Conference Call. 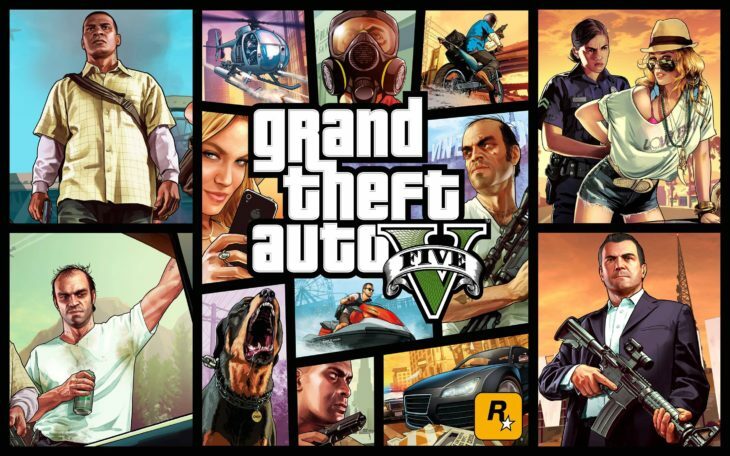 The company’s CEO, Strauss H. Zelnick, informed that sales of Grand Theft Auto 5 and Grand Theft Auto Online are consistently high and, in fact, sales of GTA 5 increased in 2016 compared with 2015 sales figure. From the time of its release, GTA 5 has sold not only more than any other video game but that game alone has sold even more than any franchise, including such hugely successful game series as Resident Evil, Tomb Raider, Metal Gear, and Just Dance. Mr Zelnick has indicated that “According to data from the NPD Group that combines physical sales and full game downloads, Grand Theft Auto V was the number six selling game across all platforms in 2016.” There were four significant updates during 2016, including Bikers, Deadline, Import/Export, and Festive Surprise 2016, and many more are planned for future. GTA 5 is not the only successful title in Take Two’s portfolio today. On Ocotber 7, 2016, 2K released Mafia III. Developed by 2K’s new studio, Hangar 13, Mafia III has achieved the highest first week sell-in of all 2K game titles, and to date has already sold around 5 million copies. On October 7, 2K launched Mafia III. Developed by 2K’s newest studio, Hangar 13, Mafia III received critical praise for its deep storytelling and authentic period setting. The title achieved the highest first week sell-in of any game in 2K’s history and was a popular choice for consumers during the holiday season. To-date, Mafia III has sold-in approximately 5 million units. Another successful 2K game was NBA 2K17, which after releasing in September 2016, has already sold over 7 million copies. This is 10% increase over last years NBA 2K16 at this time of the year. Six months after the release date, the sales of NBA 2K17 are still high, and the game has even entered UK’s top 10 of best selling video games again last week. Since release, the game has been already played over whopping 1 billion times. Another record is 2K’s Sid Meier’s Civilization VI, the latest offering from the award-winning turn-based strategy series, which has sold-in nearly 40 million copies worldwide.